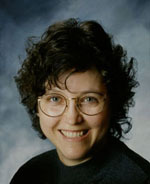 Shirley Raye Redmond is an award-winning author of dozens of nonfiction children’s books, several historical romance novels, and over 450 articles. Two of her children’s titles have sold more than 200,000 copies each. Her newest release, Viper’s Nest, is a romantic suspense novel set in Jacksonville, Illinois. She is also a conference speaker and has taught courses at many venues across the U.S. including the University of New Mexico–Los Alamos campus and the Tony Hillerman Writers Conference. You can read Shirley Raye’s contributions to the Stitches Thru Time blog, and visit her at her website, on Facebook, and WriteChildrensBook.com. What is the elevator pitch for your newest novel, Viper’s Nest? A handsome history professor and his widowed research assistant find themselves in danger when they explore an old insane asylum slated for demolition, unearthing a scandal someone is willing to kill for to keep secret. Tell us about your main protagonists and how they differ from those in your other novels. Most of my other novels are historicals, so Wren and Allan differ mainly because they are contemporary characters. It was a relief to work with personalities living in the present day. I didn’t have to concern myself with accidentally using anachronistic language, for instance. Also, Wren is a widow with a young daughter. This made for some interesting motivational considerations as I wrote the story. Why did you decide to use the particular setting you chose? I actually had a private tour of the Jacksonville Insane Asylum many years ago before it was torn down. The history of the place intrigued me, as well as the logistics of its once-bustling kitchen with small underground railroad cars used to transport meals throughout the institution via tunnels. Also, Mrs. Lincoln was a patient there for a while following the death of President Lincoln. The old place oozed dramatic possibilities. Originally, I wrote about my tour of the asylum for an SWW nonfiction contest many years ago. The article about humanitarian Dorothea Dix took second place. I later submitted the same article to a Writer’s Digest contest, and it earned an honorable mention. Both judges encouraged me to “do something” with all the historical information I’d collected. Trying to transform an article into the basis of a suspense novel was a real challenge. This seems to be a departure from your previous fiction projects of “sweet” romance and inspirational historical novels. Why did you choose to go in this new direction? There is a romance entwined in the plot of this book, too. Actually, my very first novel for grown-up readers was a romantic suspense, Stone of the Sun, with a lot of historical detail about Cortez and his Aztec mistress. In a way, Viper’s Nest is the same sort of novel—romantic suspense with all the historical trimmings—even Nazis, everyone’s favorite villains. You also write nonfiction books for children. Explain why your latest children’s title Fairies! A True Story (Random House) was one of those “think outside the box” moments that really paid off, and why you love talking about this book. Fairies! A True Story is my fourth nonfiction Random House title. I was browsing in Page One bookstore some years ago and noticed their pirates and fairies sections—hot topics for kids’ books at the time, and I wanted to do something along those lines, too. My editor warned me that the market was glutted with books on those subjects. So instead of trying to write a whimsical tale to rival the Tinkerbelle ones, I started doing research on fairies and fairy sightings. I was surprised how much information there was out there—too much to cover in one short children’s book. When I bought a used copy of Jerome Clark’s book Unexplained and read about the Cottingley fairy photographs, I knew I had something I could sink my teeth into. 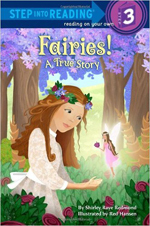 That was the “think outside the box” moment for me: instead of writing about fairies in a fictional way, I would report on an actual event and write a nonfiction books about fairies. The Frances and Elsie fairy story is fascinating because it could only have taken place when the technology of photography was fairly new. I was delighted when Random House bought the rights to one of the actual Cottingley fairy photographs to use at the back of the book. What would you say to someone who says writing for children is easy? Many people have mistakenly suggested that writing for children must be easier than writing for adults. That’s not always true. For instance, Random House is extremely dedicated to facts and truth for young readers. I had to document every fact, every bit of information in the fairy book for my editor, who then had the material vetted by an expert in a related field. Also, the clothing and artistic depictions in the illustrations had to be as accurate as possible. For instance, the illustration of the camera used by Frances and Elsie when taking the Cottingley photos is based on an old photograph of the actual camera they used. It can be a challenge to come up with text and illustrations that are both accurate and appealing for young readers while still creating a mythical mood or playful tone. 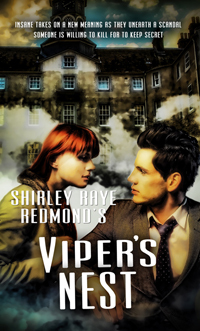 When writing a novel like Viper’s Nest, the historical information can be tweaked here and there and editors usually don’t get their knickers in a twist over it. As soon as I read Little Women when I was in the 6th or 7th grade, I knew I wanted to be a writer like Jo March. When I sold my first newspaper articles to the Pacific Stars and Stripes and The Morning Star (I was a teenager on Okinawa at the time), I knew I was a writer. There was no turning back for me from then on. What would you do differently if you were starting your publishing career today? I would attend more writing conferences and take more courses in marketing. I started out as a journalism major and later earned my M.A. in Literature. I did take one marketing elective ages ago. Everything I learned in that class is still useful for me today. But as a lit major I never even learned how to write a synopsis or book proposal or query letter. Thank goodness for SWW conferences and workshops! That’s where I learned those valuable skills. Of the 32 books you’ve written, which one did you enjoy writing the most? I have a sentimental attachment to Stone of the Sun, which was my first novel. It opened many doors for me, including write-for-hire projects. 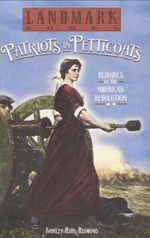 But writing and researching Patriots in Petticoats, Heroines of the American Revolution (Random House) was probably my favorite writing project. I wanted to include lesser known girls and women, such as Kerenhappuch Turner and Dicey Langston. These women were from the southern colonies—one tends to think of Betsy Ross and Abigail Adams and others from Pennsylvania and New England as our only colonial heroines. I visited out-of-the-way battlefields and small historical societies and enjoyed lots of little adventures along the way. I have received many delightful letters from girls writing social studies reports about one of the obscure heroines I mention in the book and was so pleased when the Bank Street College of Education in New York named the title as one of the best children’s books of 2005. What can fiction writers learn from nonfiction writers? As a journalism major, I was taught to get to the who, what, when, where and why quickly and succinctly—in the first paragraph, if possible. Some fiction writers forget to answer those questions within their stories. Frequently, I have found myself wondering what happened to a secondary character that appeared in the first half of the book but simply disappears in the latter half, and what about that missing locket alluded to in the third chapter? Keeping the 5 Ws in mind when writing and revising would be helpful for fiction writers, I think. Set both weekly and monthly goals/deadlines for yourself. Write them down and work diligently toward achieving them. Buy an appointment book and schedule time for writing, rewriting and research. Your “great expectations” will be easier to achieve when you have established in writing what they are. ‹ Are You Ready to Write a Novel in November?